All too often a bowl full of chili is an uninspired blend of ground meat and canned tomatoes overwhelmed by beans. Ask anyone who follows the Primal Blueprint and they’ll tell you that the beans are unnecessary, but ask any Texan and they’ll tell you that putting beans in chili is an absolute travesty. In Texas, a bowl full of beans has no right calling itself chili, even when ground meat is thrown in. Texas chili doesn’t let anything get in the way of and distract from the two main ingredients, chunks of beef and chili powder. Hearty, heavily seasoned and ranging from a bit of heat to fiery-hot, this is the type of chili that’s so thick you almost need a fork to eat it. Outsiders say it resembles stew more than chili, but it’s doubtful that this squabble over terminology has ever stopped someone from finishing a bowl. Texas chili is simply too good to pass up. Using a brand of chili powder you like makes a difference – the better the chili powder, the better the chili. In Texas chili, it’s the main seasoning and gives the dish its nickname, “Bowl of Red.” If you’re feeling ambitious, you can make your own chili powder by toasting dried chiles for a few minutes in a pan on the stove then grinding them into powder (a coffee grinder works well for this.) Buy a variety of chiles like New Mexico, guajillo, pasilla, ancho and arbol and then combine the powder of each until the flavor and heat is to your liking. Most types of chili powder also have a bit of cumin, paprika, dried garlic and dried oregano thrown in, and even more of each is added to Texas chili to give the dish it’s intense flavor. If you’ve never had Texas chili before, start with the recipe below. You won’t be disappointed, although keep in mind it’s only one version of this great dish. Some, but not all, Texas chili recipes contain a tomato product. Some use water as liquid, others call for beef broth. A splash of vinegar isn’t unheard of and either is masa harina, a type of corn flour that thickens the chili but isn’t necessary at all for flavor. Like many regional specialties, no two recipes for Texas chili are exactly the same and each one claims to be the “real” version. 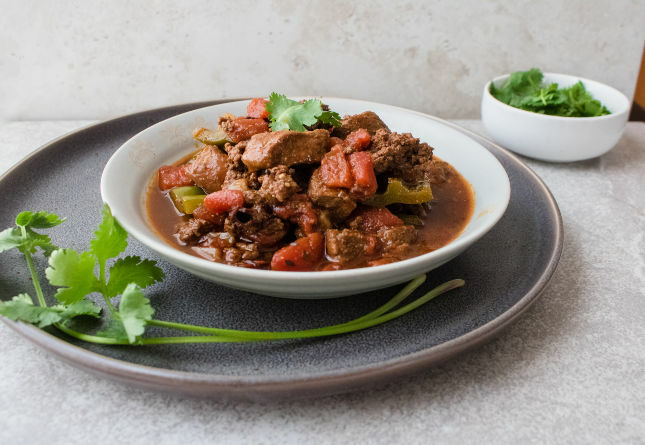 Whatever your opinion is about the exact blend of spices or addition of tomato, one thing is for sure – Texas chili is likely to convince you never to put ground meat (and definitely not beans) in your chili bowl again. Lightly season beef with salt. Heat animal fat or olive oil in a large pot over high heat. Working in 3 batches, brown beef, about 3 minutes per batch. Transfer beef to a plate. Turn heat to medium. Brown onions and garlic, about five minutes. 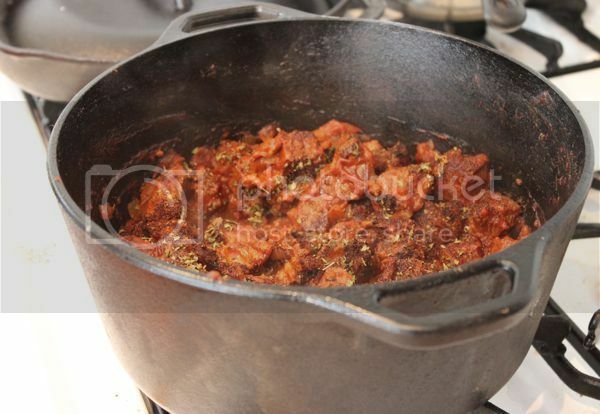 Return the beef to the pot and stir in tomato paste. Cook 10 minutes, stirring frequently, scraping bottom of pot. Add chili powder, oregano, paprika and cumin (and cayenne, if using). 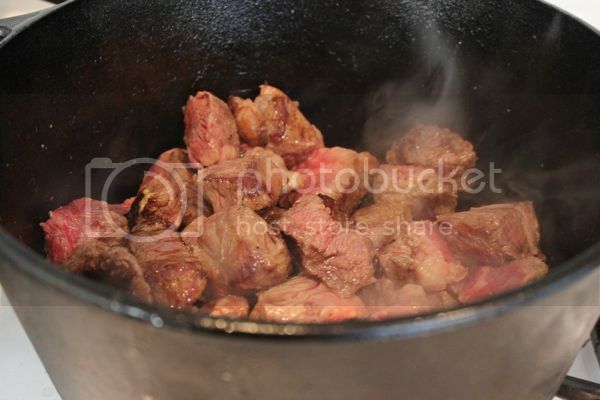 Reduce heat to medium-low; simmer partially covered, stirring occasionally, until meat is tender, about 2 hours. As a Texan, I’d also like to add that we oftentimes mix up our meats in chili. For example, in my house, we usually throw in a couple pounds of chili grind, a pound of ground, some chunked beef, and the best thing ever…venison. The mixed textures of the meat are really yummy. We usually make a big batch and freeze it for later. So good. I can’t wait until it gets cold again. Yum! Maybe you could send some of that up here to NY?! Lovin’ all the recipes and variations. Yes! 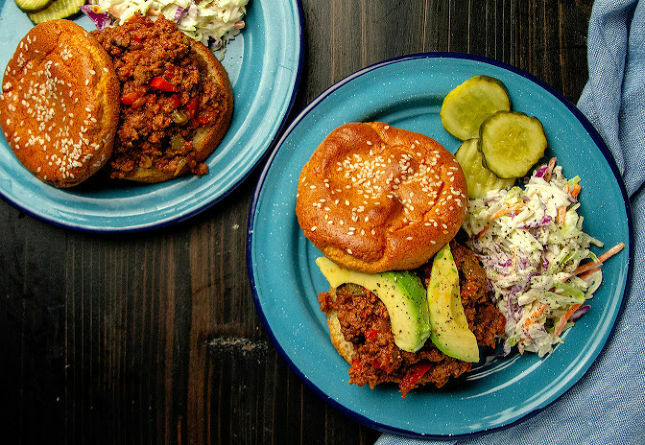 Texas Chili is the only way to go, and it’s naturally so Primal. However, I recommend fresh hot chilies in the chili (poblanos, jalapenos, serranos) to give it the extra kick that we Texans require. Also, I like to make a 3 meat chili with chorizo, finely diced sirloin and course ground beef (chili grind). Delicious! But I go for more and hotter peppers. The chorizo puts a nice layer of “grease” on it. Yum! And I don’t mind tomatoes in my chili as long as it’s not obvious and in large chunks. That is pretty close to my chili recipe. I live in Texas and was raised on it. Mine is a variant of my dad’s recipe. I do add cayenne pepper, plus I put a cinnamon stick and a jalapeno sliced in half in it. The cinnamon stick and jalapeno are removed after. I also recommend having a butcher give the meat a “chili grind”. The meat is able to absorb the flavors better that way. Been making this about once a month in Texas, for years. I started with a recipe in Gourmet called Ding Dong Eight Alarm Chili. Supposedly it was based on an episode of the Cosby Show where Bill Cosby’s character makes chili. I am REALLY surprised to find 3 tablespoons chili powder. I’ve never made chili this way. Nummy. I love my burnin’ hot Texas chili. Of course, I learned o make it with un-primal masa harina so it isn’t so stew like. I also sometimes add other vegetables, but cook them long enough that they dissolve. Looks fantastic. Been making the chili out of the PB Cookbook so this will be a nice change-up. I love the cold weather. Love Texas style chili — we make it all day in a crock pot (after browning) and use different chunked meats, though pronghorn antelope is a favorite, along with elk. We use 3-5 pounds of meat, a little tomato paste (or fresh if it’s tomato season) and a LOT more chili powder and cumin. We get a lot of our chili powder at The Chili Shop in Santa Fe — thechilieshop.com — though they don’t have the selection of hot powders they have at the store. Still, this year they have both Dixon and Hatch Medium Hot and Mild powders, plus some others. You can always call them and find out how hot this season’s chili is — it always varies. It freezes great of course, so there is always some chili for that cold, snowy evening dinner. I have to agree with Grace; you really need to use some fresh chilies and peppers in it. Except for the tomato paste, this recipe closely matches the recipe I’ve used for almost 60 years. I’m not a fan of chunks of meat. My preferred texture is meat run through a 1 inch plate, if one’s butcher has it; 3/4″ will suffice. It’s ground meat but still in large enough pieces to have good texture. Not from Texas, so my perspective on chili is a little different. My chili gets made when I have a bunch of veggies about to go bad. Beets make an amazing addition to whatever animal you have in the freezer, as does broccoli, bok, and kale. Nut butter and a smidge of dark chocolate is a must.. Also, don’t forget the homemade sourkraut on top. I’m not sure he’s from this planet, dark chocolate and sauerkraut? Sounds more like Gullosh! Your chili sounds interesting, especially with the chocolate in it. How ’bout a basic recipe? everyone else laughs at Texans who can’t spell. I’ll have to try this one. our usual recipe is fairly similar but with ground beef and a bottle of dark beer. Great recipe, for a delicious twist, instead of 4 cups of water, add 2 cups of wine and 2 of water for a perfect beef bourguignon. Or if you don’t have wine handy but plain water is too tasteless, use half vegetable broth half water. I usually make my own veggie broth either from vegetable scraps (strong) or from celery + onions + herbs (milder). I prefer wine in my glass, not in my food. Looks absolutely delicious – I’ve made similar chillies before now and I definitely prefer the large chunks of meat to the more usual minced beef that we usually see here in the UK. One question though…what do you serve it with if you’re going to stay primal? My norm would be rice, which I suppose isn’t too bad, but I’d like something a bit more appropriate. I cook chilli a couple of times a month and either eat it all week or freeze it in portions. Cheese. Beyond that, I’ve never served chili with anything, really. It’s a one dish wonder. Small serving of “allowed” carbs like quinoa and amaranth. Or just go straight to dessert: frozen berries with a little cream (or coconut milk) and vanilla extract. I’ve started eating this chilli with big chunks of cucumber doused in lime juice. The acid of the lime goes well with the spicy chilli I think. Never been a fan of beans. One thing you might try is splitting the seasonings in half and adding the second half a little before serving. This helps the flavors in the finished chili. I’m from Oklahoma so we are pretty good at chili also. Agreed. 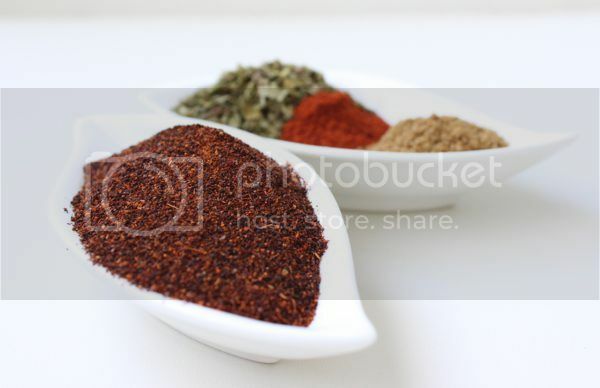 Cooking blends the ingredients but it also reduces flavors. Holding some spices until the last half hour or so of cooking brightens up those flavors, while the long cooked spices integrate deep into the other ingredients. Excellent suggestion. @wm, I’m from Texas but I have a Yankee mother from Indiana who made a similar chili with dark kidney beans. I agree it’s quite good. Since growing up with that I still enjoy beans in my chili, although the bean-less recipe Mark shares sounds delicious, too. The clove suggestion is interesting. Cinnamon is a good one, and it’s used in Cincinatti chili. I would love to try some combination of cinnamon, spices and chocolate (as Patrick suggested) in chili, similar to the flavors in Mexican mole. Chili is one of those dishes for which there are guidelines, but no rules unless you want to be parochial. It’s a great way to try different combinations of flavors and textures. If y’all put beans in your chili, y’all don’t know beans about chili! Now, you see, this is the kind of Texas brainwashing I have to put up with all the time here in Dallas. Reminds me of the big debate between classical music fans and jazz fans years ago; in their minds you couldn’t appreciate both. In the 19th century in Germany you couldn’t like both Brahms and Wagner–If you liked one you had to hate the other. In North Carolina bbq has to be pork with vinegar, in Memphis it’s pork but the sauce HAS TO BE sweet. in Texas even mentioning pork can get you in trouble. Gawd! Where’s it going to end–the folly in the world that is. Well, don’t tell any of that to the modern music lover and food lover–he’ll laugh straight at you…which is what I do when I hear this nonsense. Good is good, and all bias does is keep you from a good experience. I know, because I discovered to my shock in Cincinnati that even Yankees can make good chili and pulled pork–but they got it from us. I keep reading that strange saying, if you put beans in your chili, you don’t know beans about chili. That had to have come from someone who did not grow up with chili. As a Texan, I’m sure I’ve tried at least a dozen different chilis in my life. If you go to a restaurant and order chili, you’re going to get chili with beans. If it doesn’t have beans, it’s just a meat sauce for hot dogs and frito pies. Outside of the Terlingua chili cookoff, real Texans use beans and that’s what matters. I’m from Texas and so is my mama. She always cooked a pot to pinto beans for the children and non-Texans to mix in with the chili to tone done the HOT. The only other thing on the table was a pan of cornbread and plenty of sweet tea. I just made half a batch, adding some stewed tomatoes and a parmesan rind. Turned out FANTASTIC. Great recipe. Oh how I miss chilli… and curry… I had to go nightshade free a few years back. I don’t think a chilliless chilli is possible. Or indeed desirable?! I have heard the term “chuck” before but what type of cut of beef is it? I have heard chuck roast but no idea what it is. I’m in Canada and I’ve never seen that cut in a store or at the butcher shop. Even a google search doesn’t help me out. Next weekend I’m asking the butcher at the market if she knows what it is. Although any help here would be appreciated. 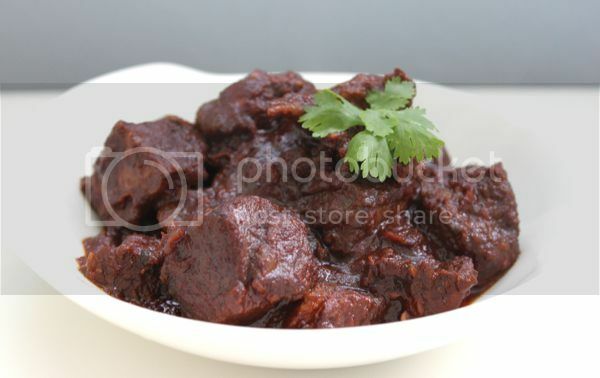 To me what’s in the pics above looks like what’s I’ve seen sold as brisket and is what I use for my stews and chilli. 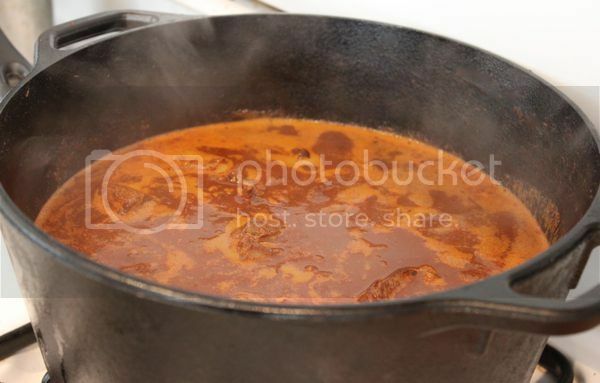 I cook it in big chunks like that, sometimes I’ll leave it as is and others I’ll take the meat chunks out of the stew once their cooked the melt in your mouth texture, shred them with a couple of forks then put it all back into the sauce/gravy again and stir it all through. Chuck is a subprimal cut near the shoulders. If it comes from the shoulder, you’re in business. Thanks everyone. Looks like I’m bringing a picture to the butcher shop and asking for “meat from here please” (picture me pointing at picture of a delicious cow). I think it is possible to make your chilly out of beef tong with beef heart for people who are confused what to do with organ meats. My local Mexican market has a dish called “Guisada” in their hot-case most days. The word simply means “stew” and is pretty similar to chili but with tomatillos instead of tomatoes. The meat in it varies pretty dramatically from day to day and will often have tongue, or pork belly, or some other mysterious meat. I think it’s awesome no matter what’s in it. 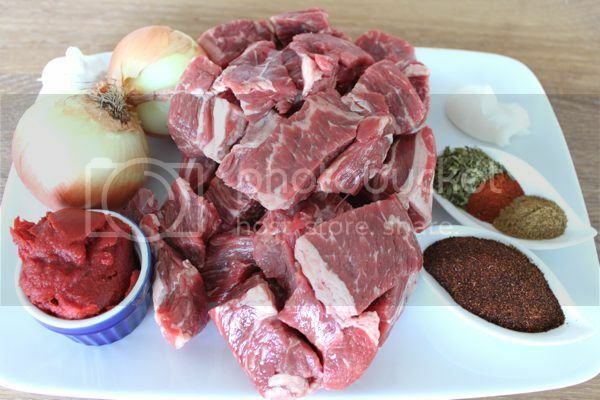 The recipe pictured is NOT chili, but carne guisada. Mexicans don’t eat ground beef like gueros. They use pork cubes for puerco guisado, or cubed beef for carne guisado. I have a batch with beef heart simmering at the moment. Anyway, nice to see a beanless chili – Can’t wait to try it. FYI for the foreigners – http://www.chili.org/terlingua.html – worth a visit, for myriad reasons. Thank you, thank you, thank you! As an expatriate Texan who loves chili, I’m delighted to see one of my favorite blogs discussing the real thing. I don’t generally care for tomato in my chili — when I want acid I’ll squeeze a lime. Traditionally we used beer instead, and now that I’m pretty much gluten-free I might try something like Redbridge. Other useful additions: bacon, coffee and chocolate. Think I’m joking? check out Seven-Chile Chili, which I’ve made and found awesome: http://homesicktexan.blogspot.com/2009/02/more-precise-texas-chili-recipe.html . For a milder but still tasty standard Texas chili, try Old Buffalo Breath: http://chowhound.chow.com/topics/354895 . Oh man. Just made chili a week ago. Might have to do it again this week! I don’t think I’m tired of it yet and this has me craving it! Alice, 57 years of experience as a Texan. Wanda, 61 years in Texas. Agreed, 52 years in Texas (4th-generation Texan). The recipe isn’t chile, but carne guisada. Chile (w/ ground beef) is disgusting to me, all fat, gristle and little texture; but that is Texas chili. Carne guisada or Guiso for short is killer, but it ain’t classic Tx red. how can a big hunk of meat ever be too chunky? Now that is REAL chili. Beans and veggies have no business in chili. I usually skip the chilli powder and add 2-3 Habaneros, 1-4 Spanish peppers or what ever other chili peppers you get your hands on. If you put in the Habaneros at the start they wont make the chili to HOT, if you want it HOT HOT add them the last 30mins. Try a tsp of smoked paprika – wow! My recipe is pretty similar though I usually start out with 1/2-1 lb of bacon. Once that’s browned reserve most of the bacon fat and add it back a tablespoon at a time as you brown your batches of beef. Then throw the bacon in with the beef while it stews. 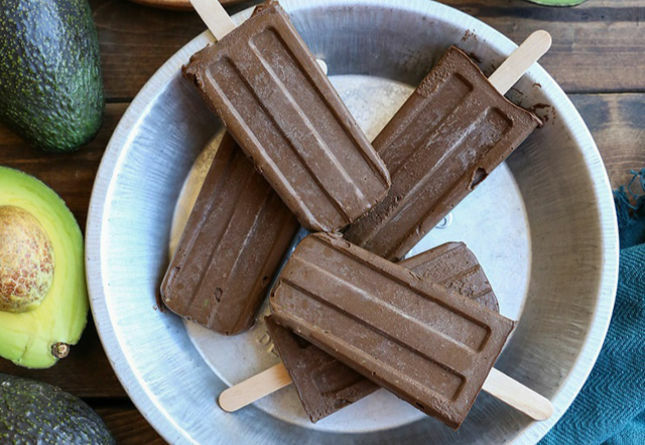 Yum – just made a batch of this to freeze up. I also used some cut up pork loin, chili from Cool Chili Company and some smoked paprika. I alos chucked in some dark chocolate which isn’t amazingly primal! I like to add about 3 shots of 100% Agave tequila for an added taste infusion. Make sure you use a nice dark tequila to bring out the flavor once the alcohol is cooked out. I like to use a mix of 1/3 Guajillo to 2/3 Hatch Red Mild for a savory but not too hot chili. “Like many regional specialties, no two recipes for Texas chili are exactly the same and each one claims to be the “real” version.” Which is why, in Texas, we have Chili Cookoffs – three day events involving lots of partying around the chili pot – to determine which recipe is the “best.” It’s what’s for breakfast. Yeah, baby. Made this recipe yesterday and will make it again. I think next time I will add some jalapenos. Time now to reheat some leftovers. I’m in the process of making this now. Pretty much completely as stated, but with beef and lamb and beef stock instead of water. Chili was some generic mix from Masterfoods so we’ll see how we go. I’ve never been a fan of any kind of legume so this recipe could have been written for me. Cooking it in the pressure cooker for 55 minutes. Hopefully it will turn out well! It turned out well. Better than well. Fantastic! Aaaannnd….I read too fast. Excellent to know I can make this this weekend! Put a good burn/sear on that meat. High heat initially is good, but the long simmer needs to be at simmer temps. Hey, why dont texan girls wear mini skirts while cooking chili?!? Cuz their balls hang out. There are SOOoo many good CHILI recipes and I make what I feel like. Texans seem to think that “Texas Style” is the ONLY chile. Wrong. Sometimes I feel like all meat (chili grind or little chunks.” Lately, since I started a diet, I made Turkey Chile with lots of cooked down celery, onions, carrots (little chunks) and Bells (red and green). I put a big handful of fresh green “hatch” (New Mexico Green Chili/fire roasted. Those narrow minded Texans just don’t know what they’re missing. It’s like a new Yorker never wanting to try Mexican Food. You’re loss, PAL. Personally, I like it all….It just depends what I feel like at the moment. Just made this and it is simmering away. Smells awesome. Happiness in a pot! Thanks! Beans (dried) were / are the most common food carried on the trail and hence would be used in any chili on the trail (any true trail chili)!! Call me ignorant but I have a feeling that chili comes from the same common ancestor as posole or menudo. Hunks of meat in a chili broth with or without little pellets of carbohydrates. My mom’s chili has beans in it, and even though his grandmother lives in Texas and could probably set him straight, my fiancee is 100% convinced that chili MUST have beans. His mother made a turkey-pumpkin chili a few weeks ago (which was crazy delicious) and he insisted it wasn’t right because it lacked beans. Maybe cooking it this way will convince him that chili isn’t supposed to be so…musical. How does substituting tomato paste with tomato sauce sound? Have lots of tomato sauce I’d like to get rid of. 1. For a better texture, cook for way longer on low heat, perhaps 6 to 8 hours but definitely to where the meat easily shreds. If I’m feeling lazy I put it in a slow cooker overnight. 2. Tomato sauce would be fine – I often use tomato sauce and tomato paste together. The paste is more or less concentrated tomato, so you may want to cook the sauce down so your chili doesn’t become too watery. 3. Chili does not require beans. I find that chili made with ground meat is somewhat uninteresting without beans. Chili with a firmer bit of meat shouldn’t require it at all. I’ve got a pot going right now. I used a beef roast/pork mixture and added some Cayenne and Cinnamon to the spice mixture, as well as some beef stock and red wine vinegar (out of wine at the moment) to the liquid. We’ll see how it turns out! When I make chili, I always use4 fresh chiles, as well as fresh tomatoes and fresh onions (shallots work good as well). When you slow cook it (I try for at least 2 hours), they will dissolve in the water and become a nice spicy and savory gravy. i’d also sneak in other stuff that Lord Grok does not want to know (don’t ask & don’t tell is his policy in terms of organ meat) XD. I am in love with these receipes .. the pictures are visually stunning .. as an O+ gal, I should be eating this way (no grain, dairy etc). Hello, Texans. What is the best chili powder to use for Primal? I finally got around to making this last night, and it’s every bit as delicious as you might expect. This one’s a keeper! I can’t wait to make this..this weekend. This should freeze well right? Thanks for keeping the beans out of it! Until now, beans were the main ingredient in my chili. Made it as written last night with the addition of some coffee to the cooking liquid and it was wonderful! Didn’t taste like pasta sauce to me, so I don’t know what joel did to his… It was TOTALLY YUMMY!!!! Going to make another batch this weekend and let it go for several hours in my big crockpot. Just made this chili and it was very good. I did stray a little bit from the recipe by putting in half a cup or so of red wine. Really good though, a lot of flavor…and it’s really easy to make. Just made this recipe, it looked way too chunky to me as well. I made it with half ground venison, and half venison steak cut into 1/4-1/2 inch cubes. Had to add salt, a little honey, and a little aujus gravy mix to round out the flavors, but it made a fantastic base. The chili spices were right on.this will now be my go to chili recipe. I made this with lamb today and it was SOOOOO good!!! This is very good. I substituted whitetail venison instead of beef. The only other change that I made was using two cans of tomato paste instead of one, with one it had a taco meat flavor, adding that second 6oz. can of tomato paste gave it a good chili flavor. made this with some aubergine as well – served on a bed of curly kale. Delicious! Made this tonight. It was great. For anyone thinking it was too much chili powder. I actually added more. I did also add cayenne but will add even more next time. Thanks. Used your recipe and would just like to say thanks for sharing, truly an awesome chili recipe!! I would avoid using canned tomatoes or tomato paste, since the acidity of the tomatoes leaches quite of bit of BPA and other toxic chemicals from the can lining. I just use chopped, whole fresh tomatoes. 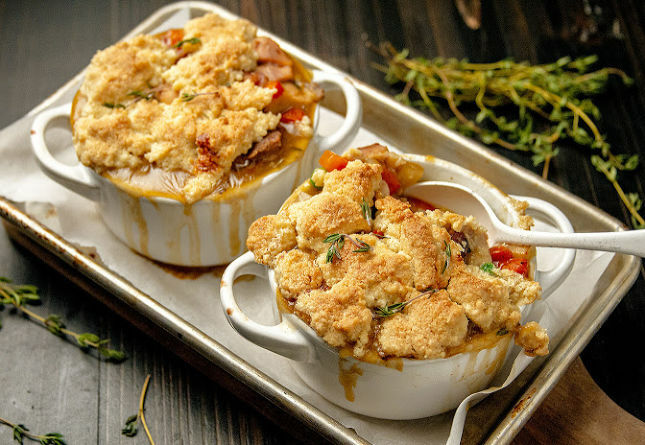 You don’t need to add additional liquid and once it simmers down it has a beautiful texture and taste. But I appreciate the recipe; I never liked beans in my chili. Sometimes I throw in cubed butternut squash as a bean replacement. Also I would double or even triple the amount of spice. I browned the meat and did what one reviewer suggested and added more than just the stew meat, I added a pound of grass fed burger and about a cup of chopped chorizo. I used 4 cups of beef broth and after browning the meat I threw it all in the crock pot where it currently resides. We will see what happens. Got the recipe from. J J Virgin book of many recipies.